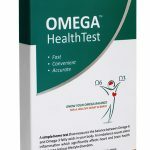 This simple Home2Lab test provides a complete overview of fatty acids in your blood, including PUFA’s (Omega 6 and Omega 3), saturated and mono-unsaturated fatty acids. 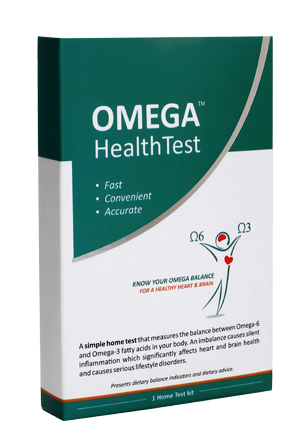 The OMEGA HealthTest also provides recommendation of daily intake of Omega-3 to balance the Omega-6 to Omega-3 ratio. The sample collection kit will be delivered directly at your doorstep. Just courier us your sample and get your easy to understand test report online within 48 hours of the sample reaching our ISO certified laboratory. A balanced fatty acid profile has long term health benefits and will make you confident that you are on the right track to maintaining a healthy lifestyle and good health. 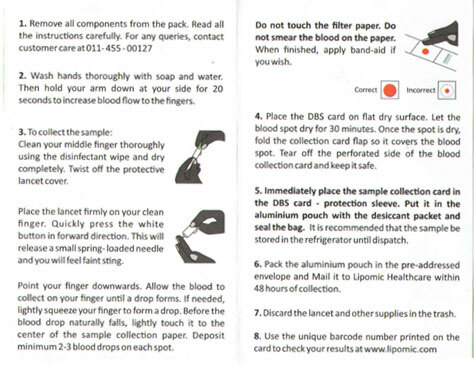 Please read these instructions carefully before taking the sample. Empty the contents of the pack and place them on a desk. Read the instruction manual carefully. For any queries, contact customer care at 011-45500127. Fill out the information requested in customer questionnaire form and keep it aside. Wash your hands thoroughly with soap and water. Hold your arms down at your side for 20 seconds to increase blood flow to the fingers. Collect the sample. Clean your middle or ring finger thoroughly using the disinfectant wipe. Allow it to dry. Twist off the lancet cover and place the lancet firmly on your clean finger. Point your finger downwards, and allow the blood to collect on your finger until a drop forms. If needed, lightly squeeze your finger to form a drop. Before the blood naturally falls, lightly touch it to the center of the sample collection paper. Deposit minimum 2-3 drops on each spot. Immediately place the sample collection card in the protection sleeve. Put it in the aluminium pouch with the desiccant packet and seal the bag. Pack the aluminium pouch in the pre-addressed envelope along with the filled customer questionnaire. Mail the sample back to Lipomic Healthcare within 24 hours of collection. Discard the lancet and other supplies in the trash. 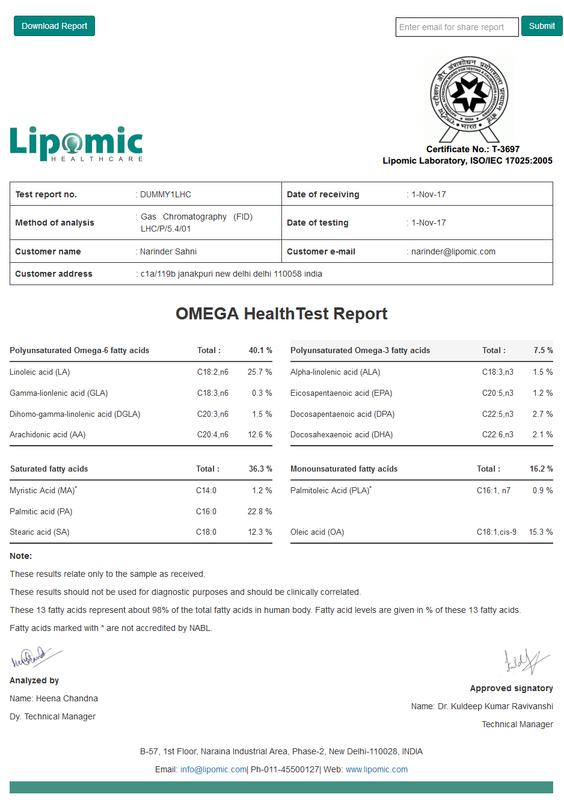 Download your test report by using the unique barcode number printed on the card at www.lipomic.com within 3 days of receiving the sample. A big drop of blood is required to be taken on the sample collection card saturated on both sides. Insufficient blood may leads to rejection of sample. It is recommended that the sample be stored in the refrigerator until dispatch. Description of types of fats, key dietary and Inflammatory Biomarkers. The Fatty Acid Profile measures 13 major fatty acids found in red blood cells. These 13 fatty acids represent almost 98% of the total fatty acids in human body. The Complete Fatty Acid Profile measures the percentage of fatty acids from a convenient dried blood spot. Fatty acids are the core building blocks of cellular membranes making them critical for cell membrane structure and function. Humans cannot synthesize Essential fatty acids (EFAs) and therefore must be obtained in the diet or through external supplementation. EFAs are transformed into Eicosanoids, a process important to boost body’s immune system. It is well documented that circulating levels of certain essential fatty acids have strong associations with the risk of cardiovascular diseases, diabetes, asthma, and many other chronic inflammatory diseases. 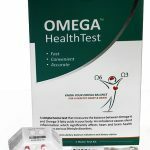 This test report focuses on the individual fatty acid levels and balance between Omega-6 and Omega -3 fatty acids. Knowing these levels will help guide you in the best possible preventive health strategy, and will determine whether your current nutritional and supplement habits are working effectively. The test report provides four key indicators of inflammation. These indicators are subsequently used to design and provide effective personalized dietary and supplementation guidance. The level of these biomarkers is shown in an easy to interpret colour scheme. If your results fall in the red and yellow area, you are advised to consider changing your diet. Green means your diet is balanced and protects you against many lifestyle related health issues. The Body Mass Index (BMI) is the first indicator of an imbalanced body. The Body Mass Index (BMI) is a general health index that measures body fat based on your height and weight, and applies to most adult men and women aged 20 and above. The higher your BMI, the higher the amount of fat in your body. If your BMI is less than 20, you are in the underweight range which may relate to nutritional deficiency diseases. A BMI between 20-25 indicates a healthy and recommended weight range. If your BMI is between 25-30, you are in the overweight category and it is recommended that you actively start to reduce weight by eating fewer calories, or by increasing the physical activity to burn more calories. A combination of the two is advisable. If your BMI is above 30, you are considered as an obese person. Obesity (BMI>30) is a driving force in the development of chronic lifestyle diseases. People with a BMI less than 20 or greater than 30 are recommended to seek advice from a doctor or an authorized nutritionist or dietician in order to develop a personal dietary plan for healthy weight management. The ratio of Omega-6 to Omega-3 reflects the composition of polyunsaturated fatty acids (PUFAs) in your diet. 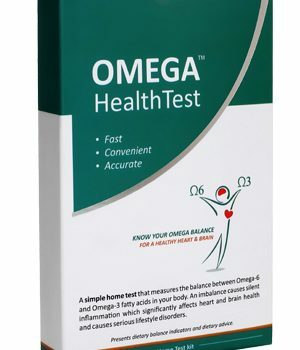 The recommended optimal Omega-6 to Omega-3 ratio is less than 3:1.3 An unbalanced Omega-6/Omega-3 ratio is known to be a leading cause for chronic and lifestyle diseases such as general allergies, skin problems, muscle and joint problems, may develop undetected over time. Therefore, reducing the Omega-6 to Omega-3 ratio by using a combination of dietary supplements and dietary changes will promote optimal health. When changing your diet, it is recommended to decrease the intake of Omega-6 fatty acids. Food products containing grains and edible oils like soybean-, sunflower- and corn oils are rich sources of Omega-6 fatty acids. At the same time, it is recommended to actively decrease the intake of sugar and refined carbohydrates. Carbohydrates serve as the primary energy source for working muscles, help brain and nervous system functioning and help the body use fat more efficiently. The liver and muscles can store around 500 grams of total carbohydrate as glycogen. The liver converts excess carbohydrates to Palmitic acid (PA), a long chain saturated fatty acid, to be stored in fat cells in fat tissues. Excess dietary carbohydrates and sugar are a known risk factor in diabetes II, obesity and metabolic syndrome. The Palmitic acid (PA) index measures the level of Palmitic acid in your blood. It has been shown that level of PA in blood is related to HbA1c (glycated hemoglobin), a known marker for identifying average plasma glucose concentration.4 The recommended level of PA index is below 21%. If your PA index is above 25%, it is recommended that you actively reduce the intake of sugar and carbohydrate rich food. The ingredient- and nutrition list on labels of all food products provide information about sugar and carbohydrate content in the food product. Saturated fats are non-essential fats that come from animal products such as beef, lamb, pork, poultry with skin, butter, cream, cheese and other dairy products. Foods from plants that contain saturated fats include coconut, coconut oil, palm oil and palm kernel oil and cocoa butter. The American Heart Association recommends minimizing saturated fat consumption because of links to high cholesterol and an increased risk of cardiovascular disease. Monounsaturated fats (MUFA) are non-essential fats that are generally considered to be of a good fat type. They are considered to be healthier alternatives to saturated and refined trans-fats found in most processed foods. Olive oil, avocados and almonds are good sources of MUFAs. The American Heart Association recommends replacing the majority of your saturated fat intake with monounsaturated fat or polyunsaturated fats. Omega-6 is a family of essential polyunsaturated fatty acids (PUFA) that must come from the diet. Modern diets contain a high proportion of omega-6 fatty acids, especially Linoleic acid, an essential fatty acid from common vegetable oils (e.g. corn, soya, sunflower, and cottonseed), processed foods made with them, as well as from seeds, nuts (eg. Cashews and Pecans) and grains (eg. cereals, wheat flour, pastas etc. ).Arachidonic acid (AA) accumulates in meats from grain-fed animals and poultry. These fatty acids are pro-inflammatory and their consumption should be under control. 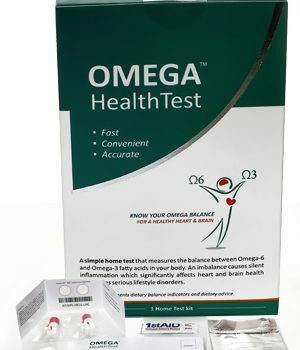 Omega-3 is a family of essential PUFAs that must come from the diet. Alpha-Linolenic acid (ALA) originates from vegetable fats, while both Eicosapentaenoic acid (EPA) and Docosahexaenoic acid (DHA) are rich in fatty shellfish and fish like Salmon, Anchovies, Herring, Sardines, and Trout. Plant derived ALA is not efficiently converted by our body into the required longer chain fatty acids EPA and DHA, which must come from marine sources or fish-oil based supplements. An adequate supply of EPA and DHA in your diet is crucial to the development and function of the nervous system. I have used the lancet, but I didn’t produce enough blood to fill both circles. What do I do? Simply repeat the procedure using the second lancet provided in the test kit. Warming hands under warm water or rubbing your hands for a few minutes can also increase blood supply to the fingertips.